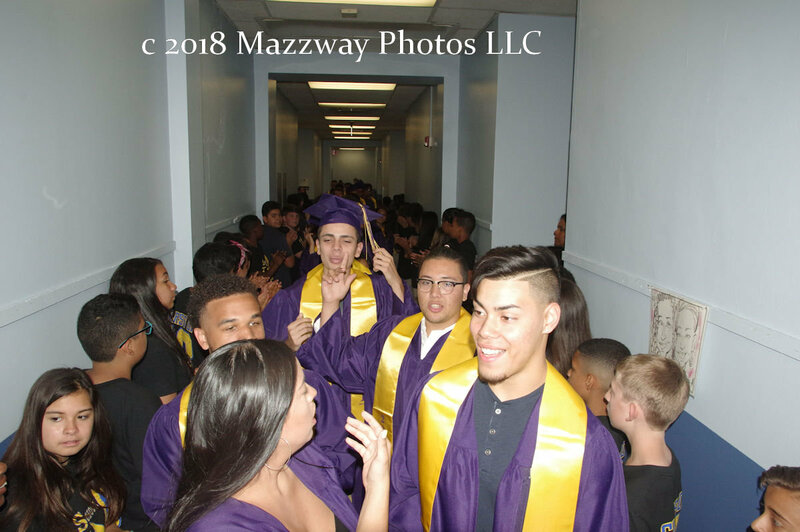 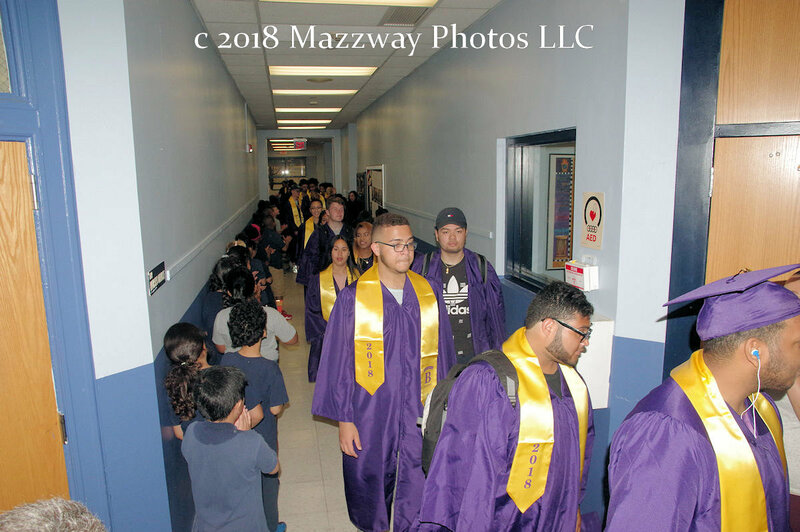 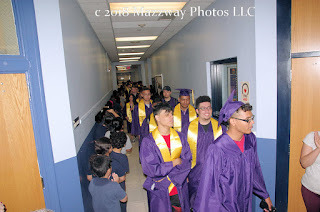 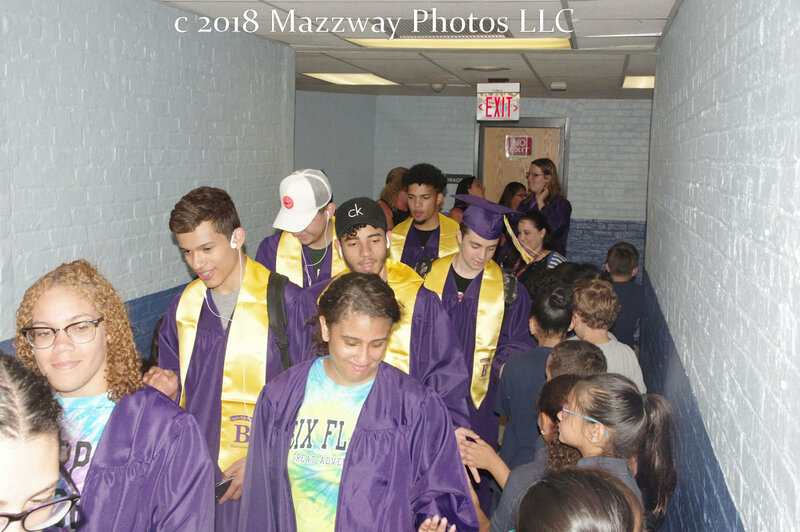 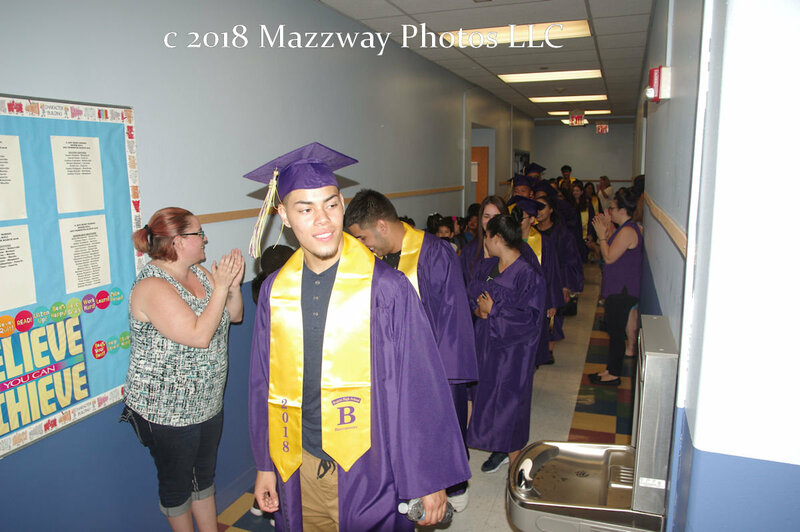 On Friday-22-June Seniors of the Bogota High School Class of 2018 donned their Cap and Gowns early and walked the halls of Bogota High School one last time. 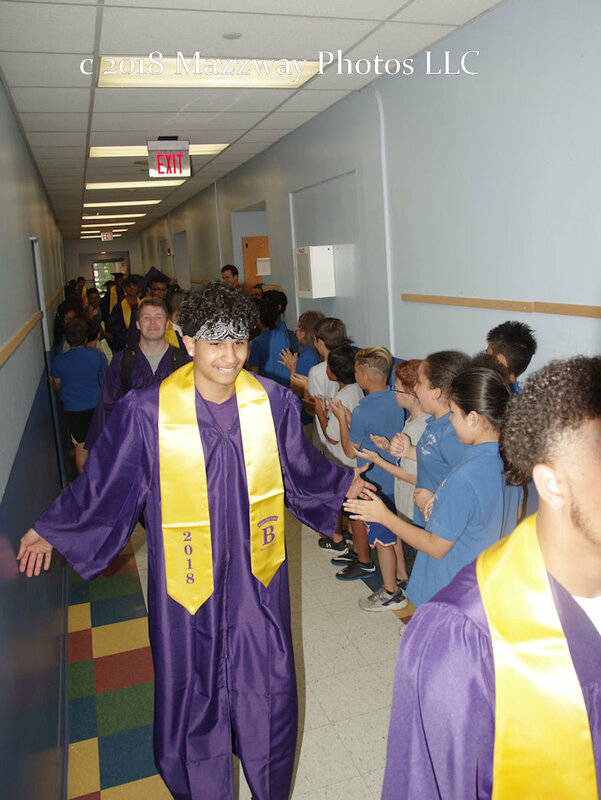 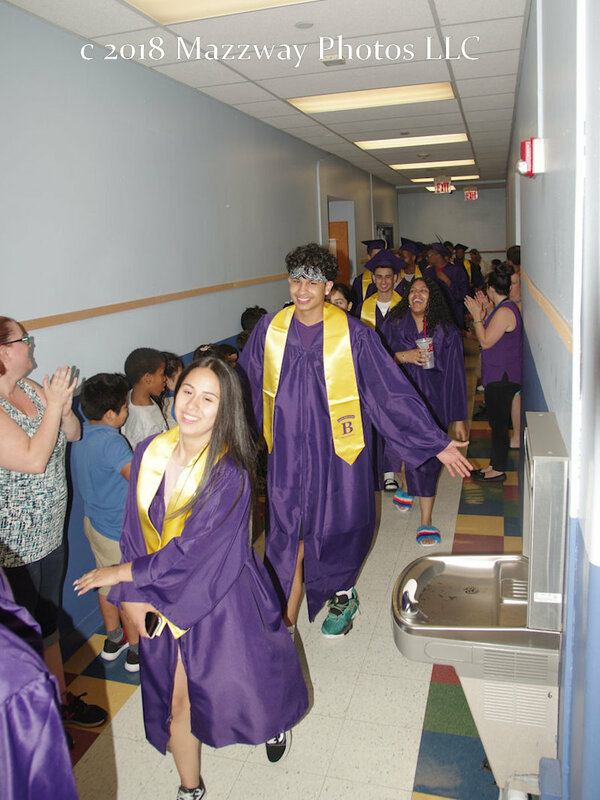 They were greeted by the underclassmen, who lined the halls to give them a final send off. 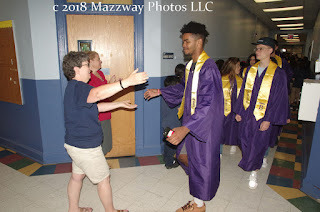 This also gave the Seniors a chance to say one more goodbye to the Teachers and Staff they have shared the last four to six years with. 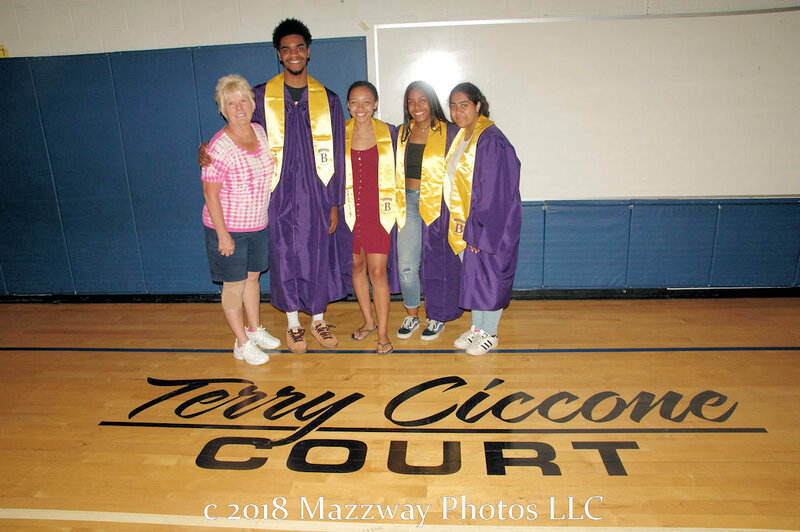 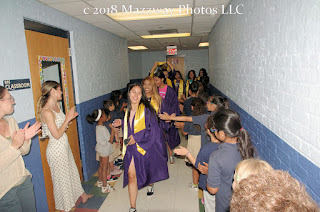 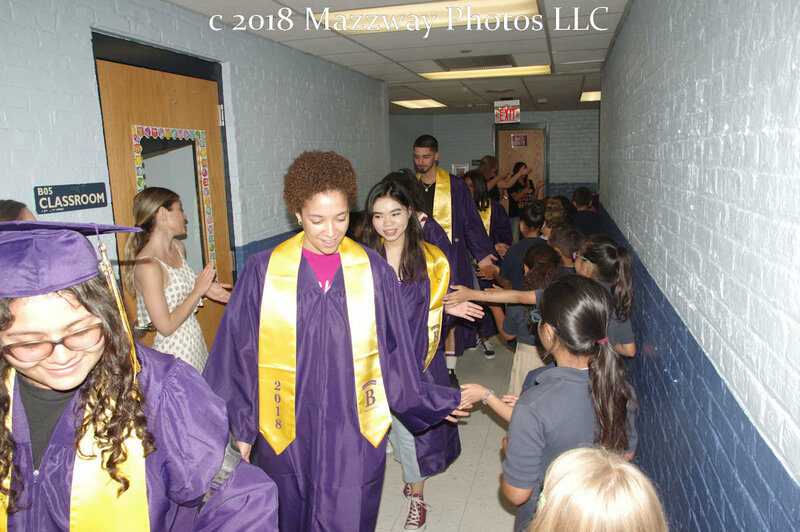 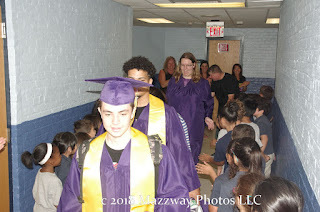 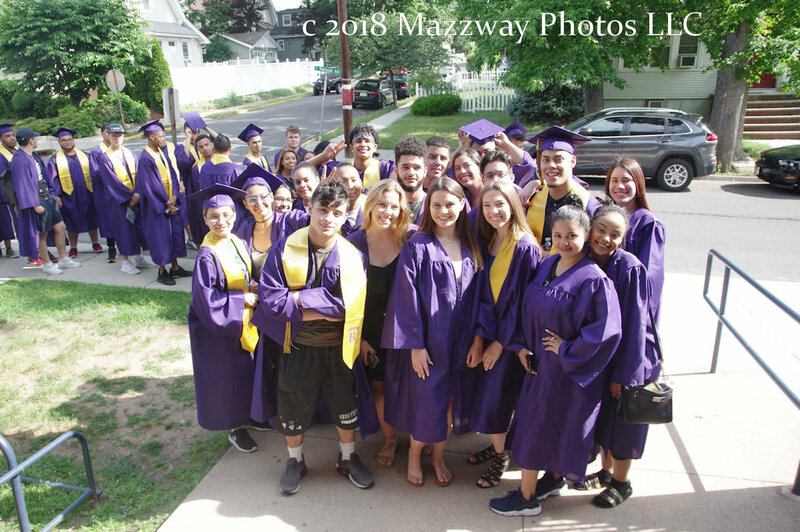 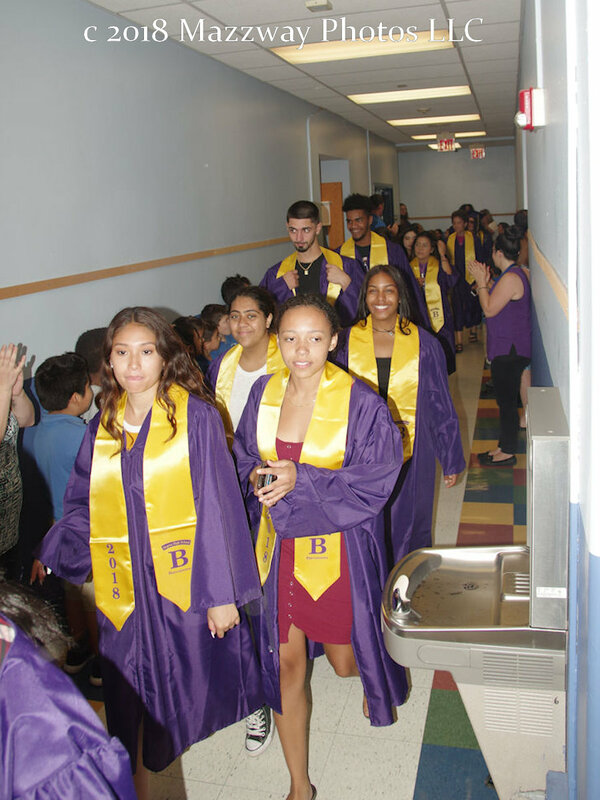 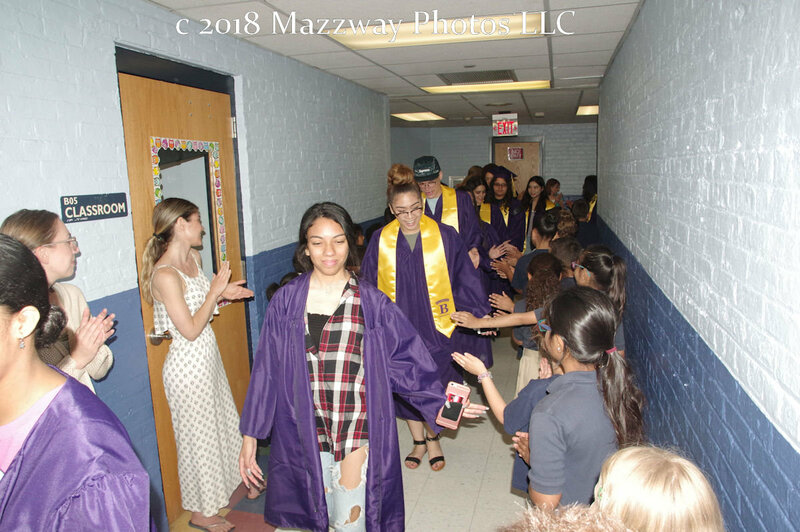 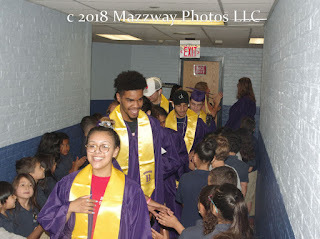 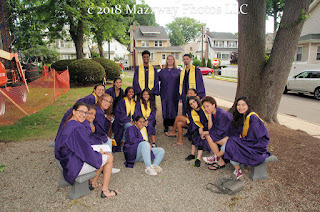 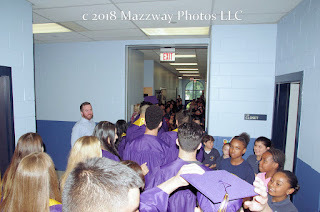 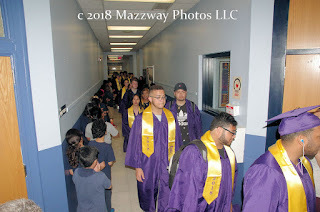 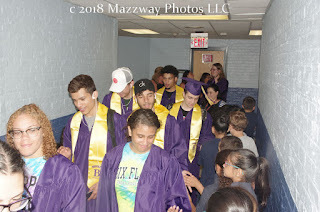 Then, the soon to be Graduates, left the building and walked along Palisades Ave to visit to their former Elementary Schools. This was the second time a Senior Clap out was staged in Bogota. 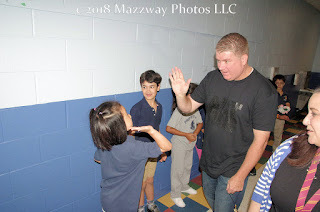 Principal Damian Kennedy, and Vice Principal Kelly Foley DeCongelio made arrangements with the other schools in the district. The Seniors arrived at Bixby School and shown off their robes, to the younger Students. 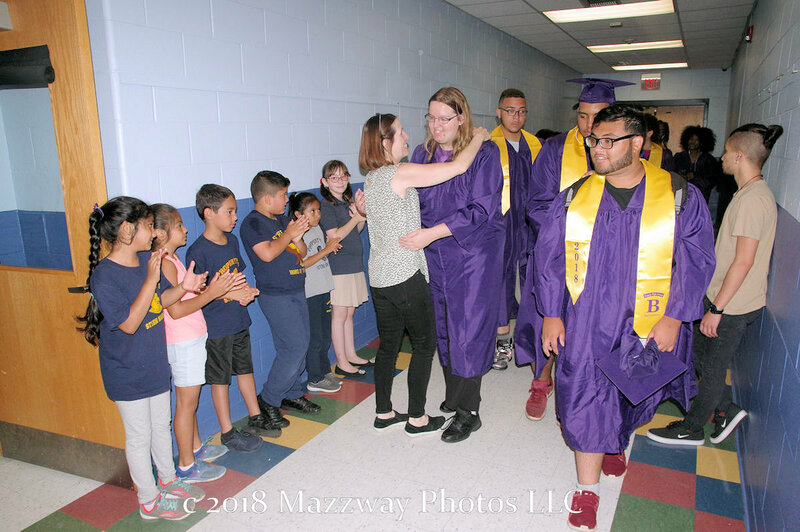 They were greeted by the entire Student population lining the halls in front of their Classroom to give the older Student a warm welcome. 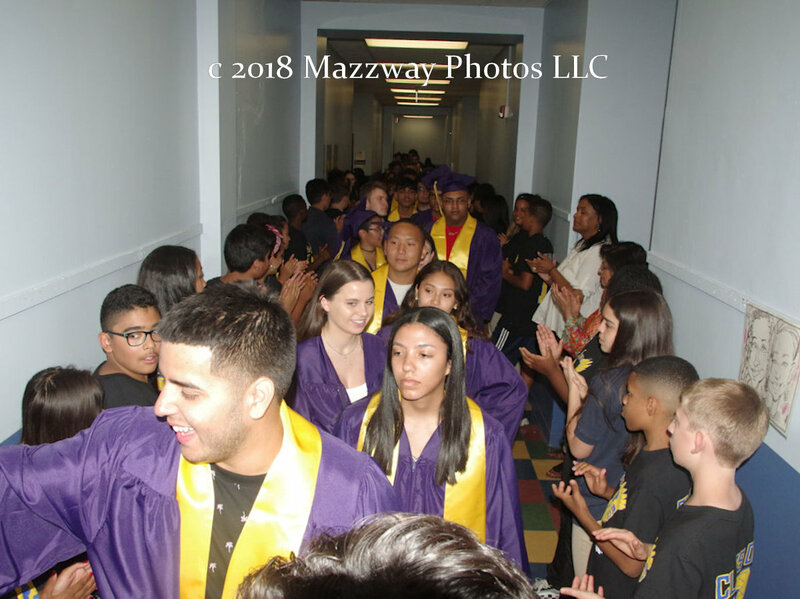 Students, and Teacher applauded and congratulated the Class of 2018 on their achievement. 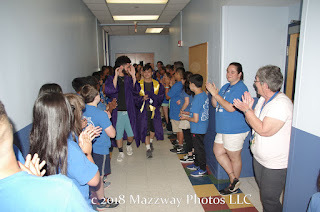 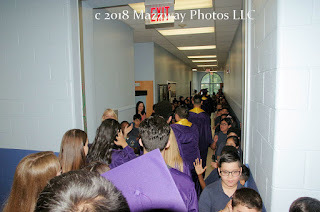 The Seniors in turn high fived, and shook the hands of the Elementary schools Student to let them know in what will be only a few short short years they will be able to return the favor to the next Generation of Students. 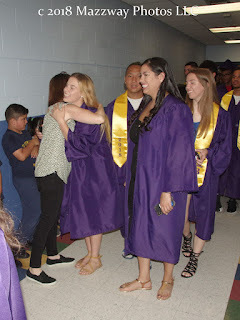 Some of the Seniors were able to find a younger sibling for an extra hug, or to be shown off to the younger ones classmate. 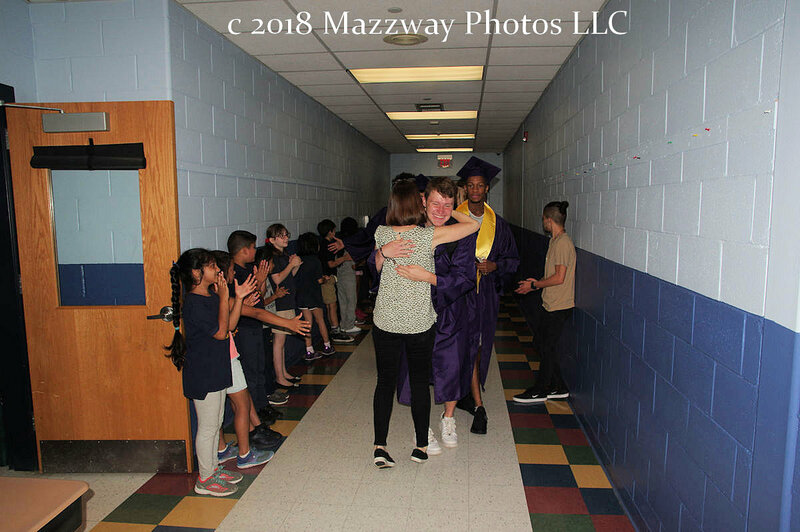 Some Seniors were able to find, hug, and reflects on life in Elementary School with their former Teachers. 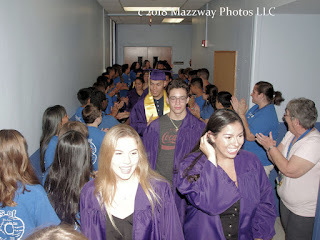 The Seniors that attended either school lead the way through the hallways of their respected School. 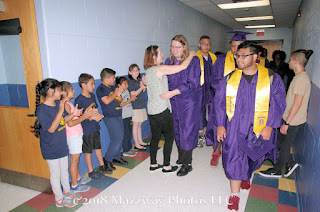 When the Seniors arrived at Steen School they walked into the same door they when they first entered the Bogota School System. 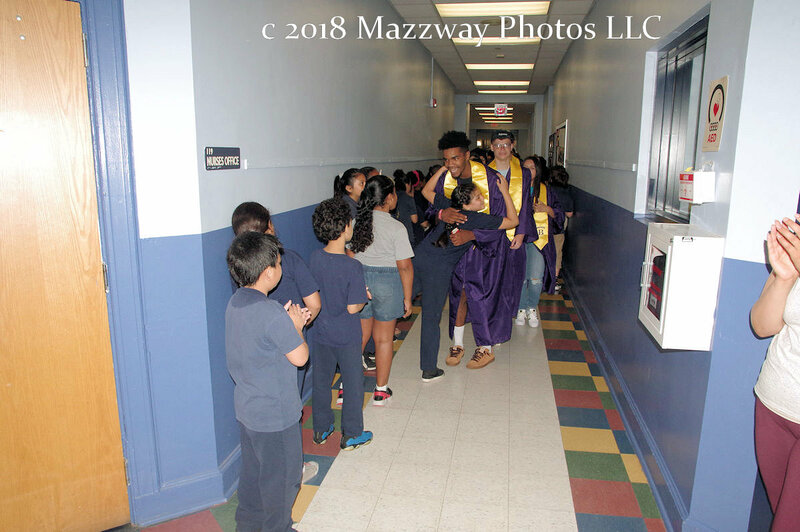 The younger Students look-up in awe of this giants who entered their school to show these Students what lies ahead. 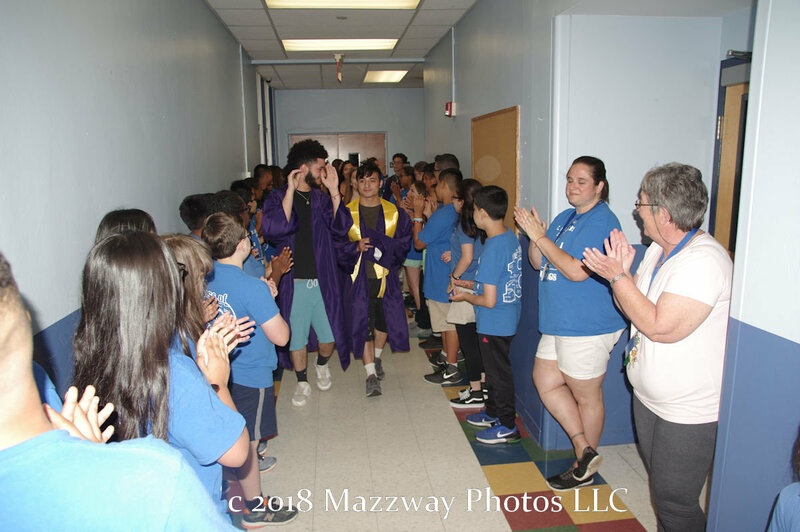 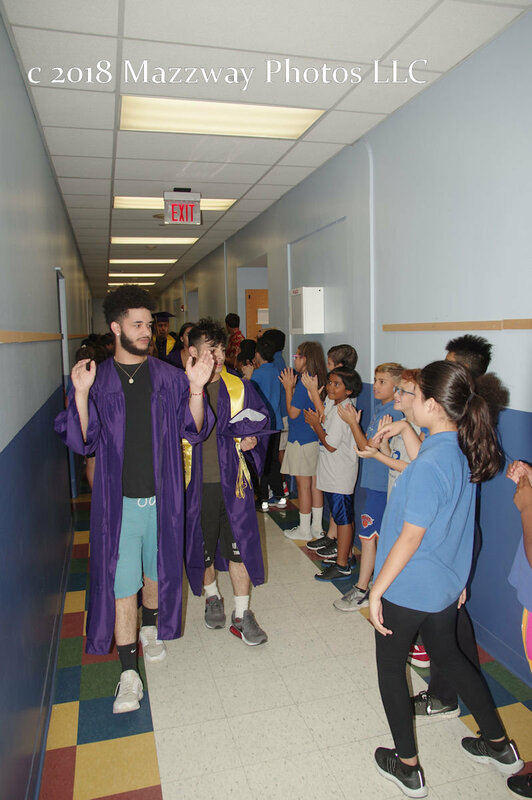 When the Seniors walk by the Sixth Grade class the Grade School Student were given a first hand view of the footsteps they will be following in for the 2018-19 School year. 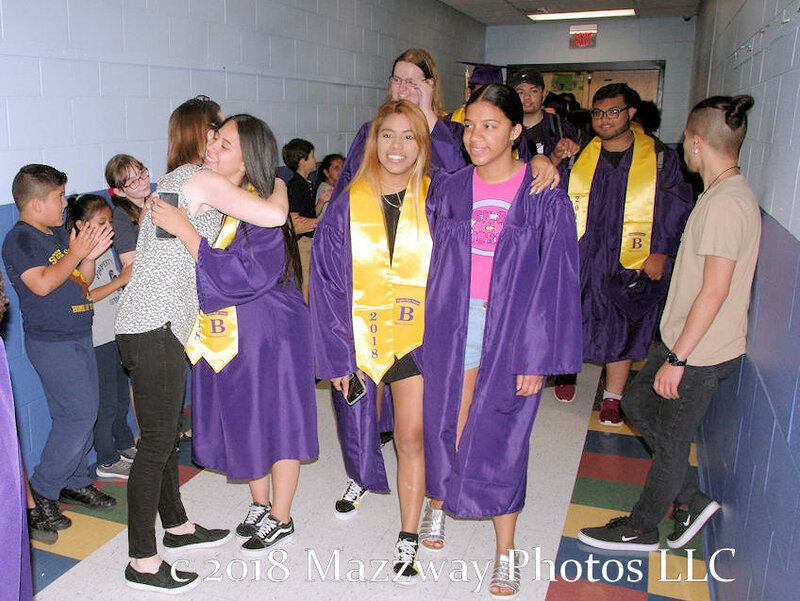 After similar applause from the Steen Students, and sharing a moment with former Teachers, that now had to look up their past Students. 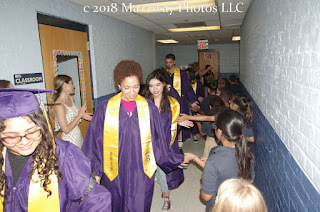 Quick stories were shared about; "Do you remember when..." " Look at how you have grown.." When the last round of applause was done, and one more look back was taken,the members of the Senior Class of 2018 were driven to Feigel Field to rehearse their Commencement Program suddenly only just a few hours in the future.